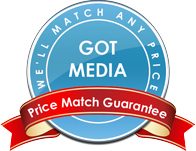 Silver Lacquer DVD-R is a DVD-R with a very thin (if any) layer of lacquer coating on the top surface of the DVD-R. Professional duplicators refer to these discs as silver lacquer DVD-R. The top surface is shiny silver and thus they are also named shiny silver DVD-R. 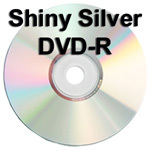 Shiny silver DVD-R is best used when you simply want to write on the surface to identify the contents of the DVD-R or you have a monochrome thermal printer such as a Rimage Prism printer.